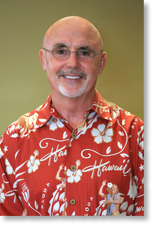 Harry Coffey joined Ryan Mortgage Company as a Real Estate Loan Consultant 9 years ago. Harry brings 30 years of experience in residential and commercial lending with 10 years at Washington Mutual Bank and 12 years as an independent Broker at Investors Trust Mortgage.In addition to home loans, Harry has experience in Small Business Administration (SBA) loans, commercial loans, apartment loans, mobile home parks, vineyard/winery and large estate property financing. Graduate of Western Illinois University with a Bachelors Degree in Business Administration and a Masters Degree in Public Administration from George Williams College in Chicago, Illinois and is a licensed California Real Estate Broker.